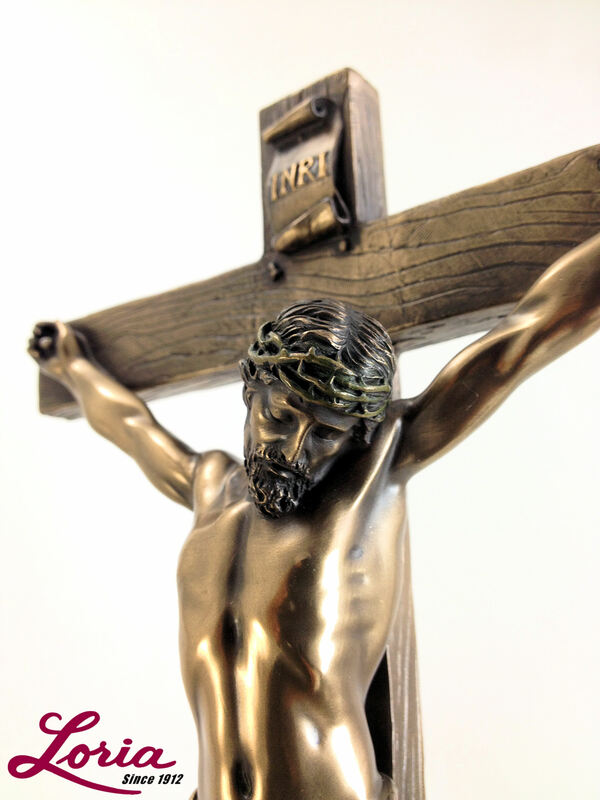 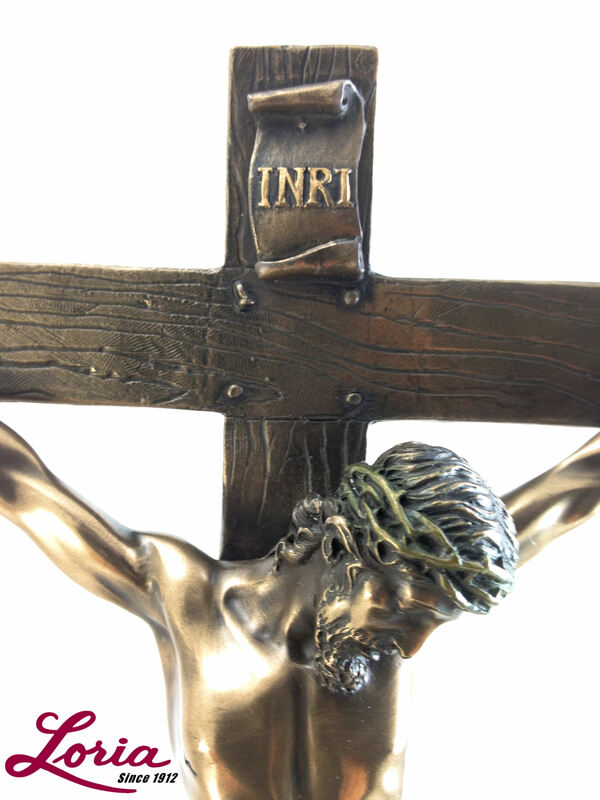 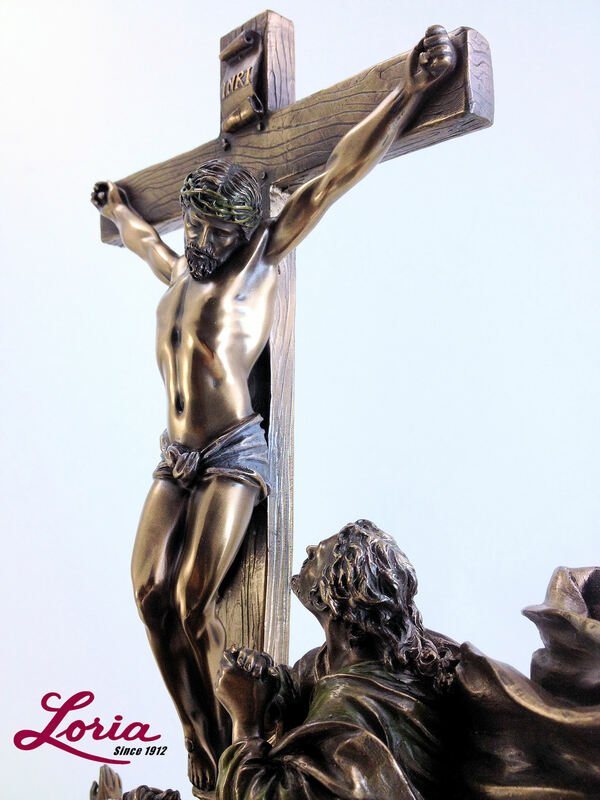 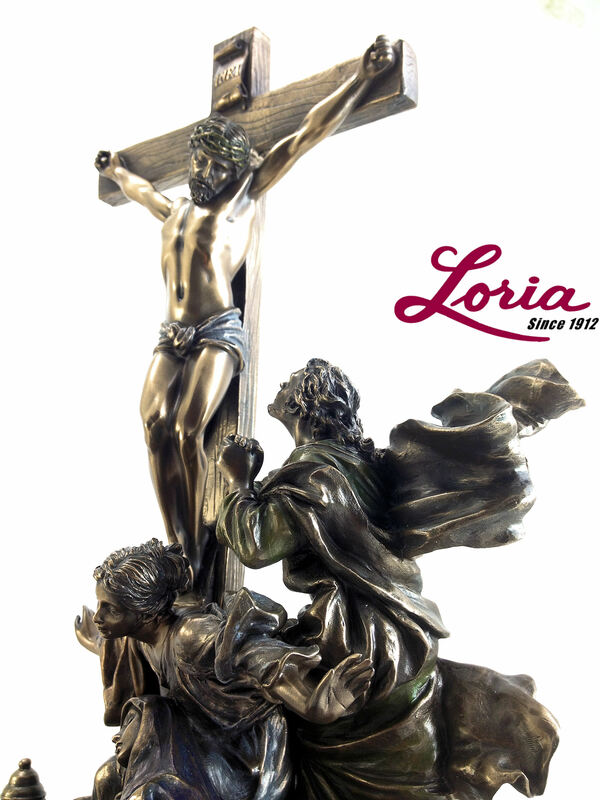 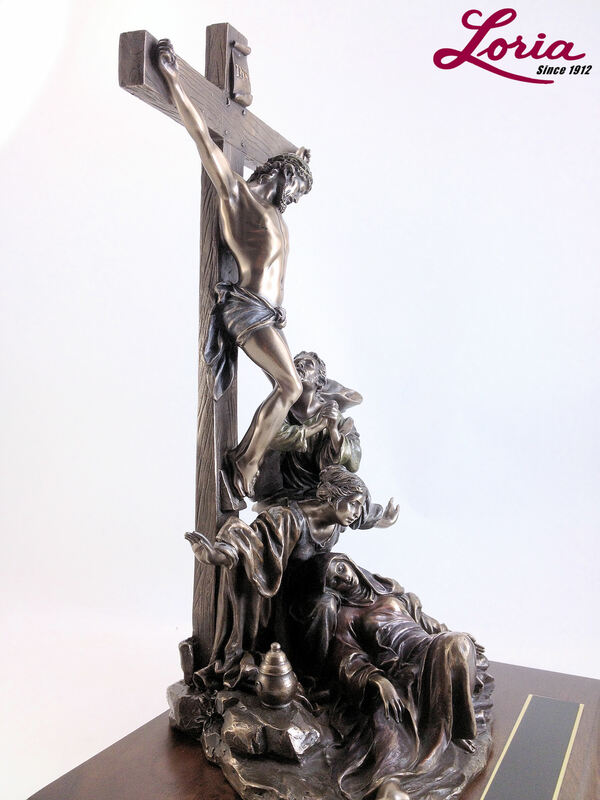 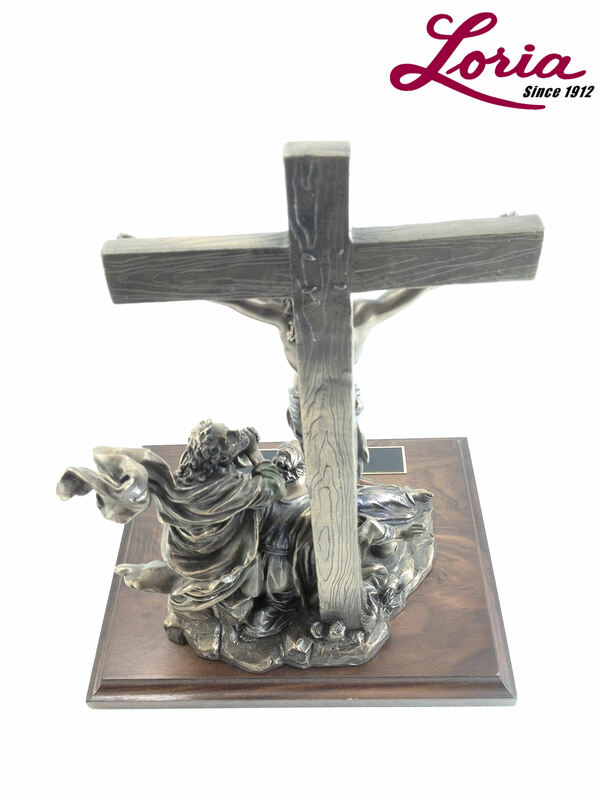 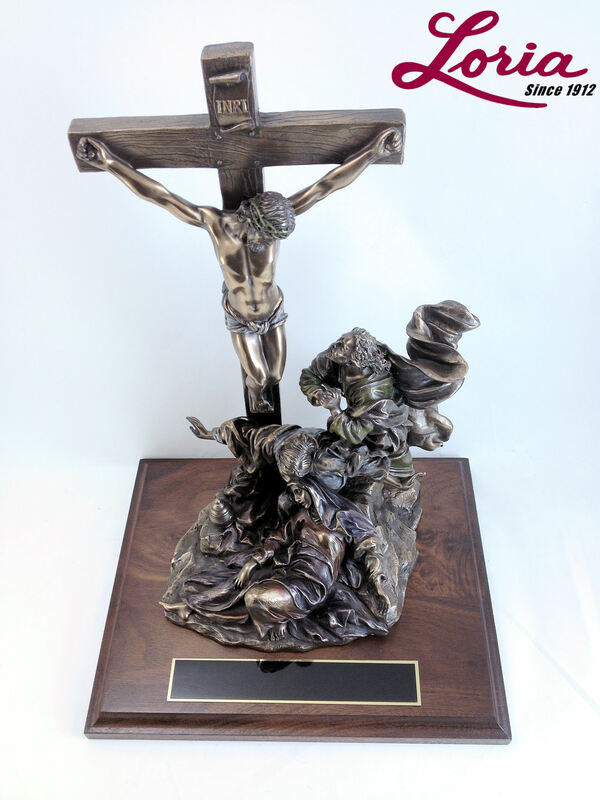 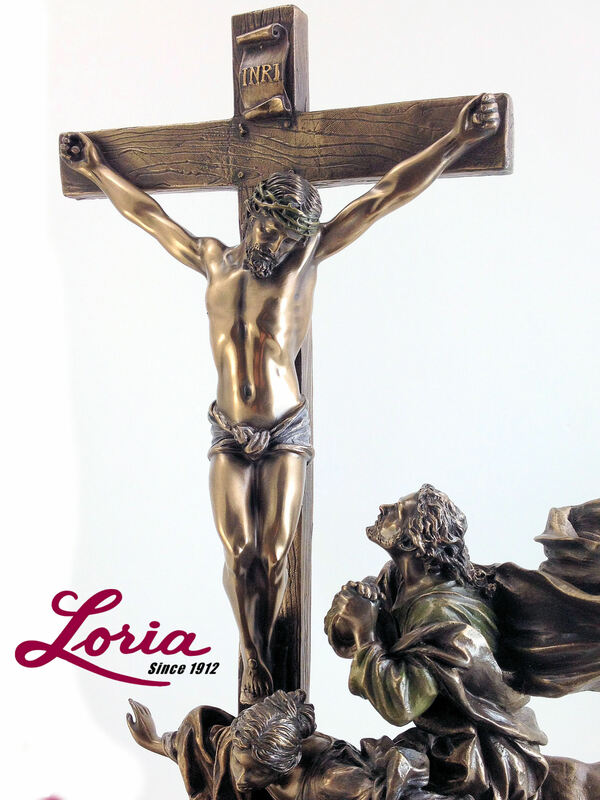 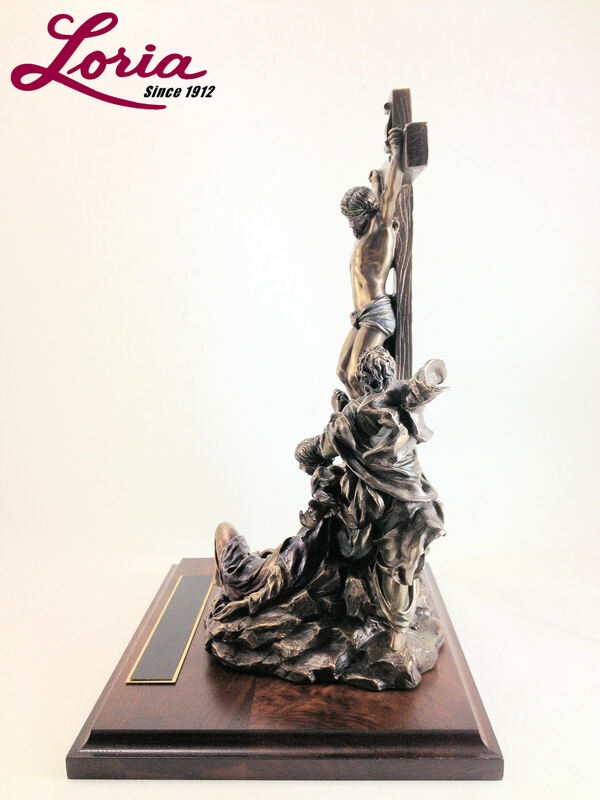 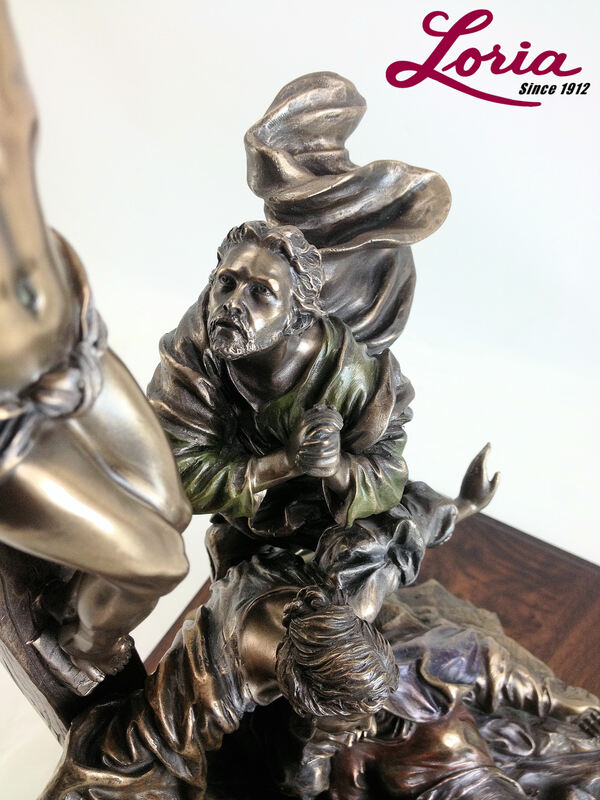 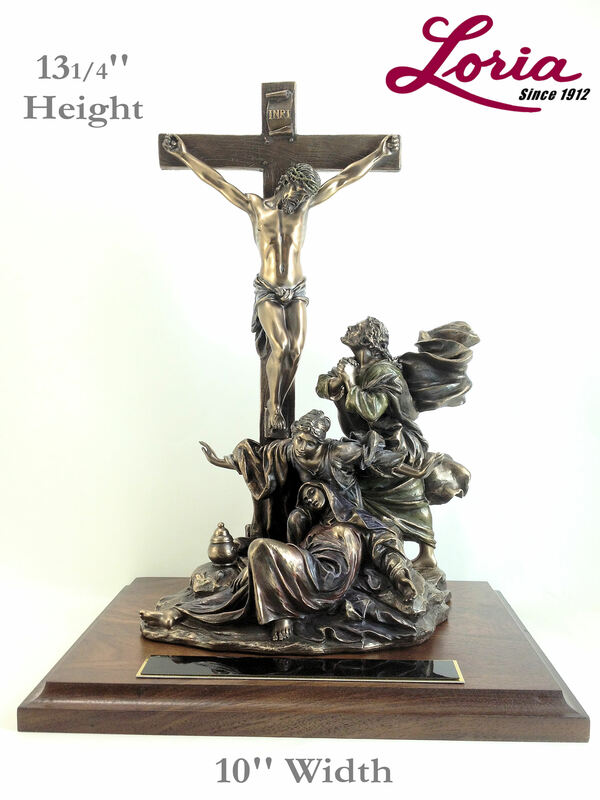 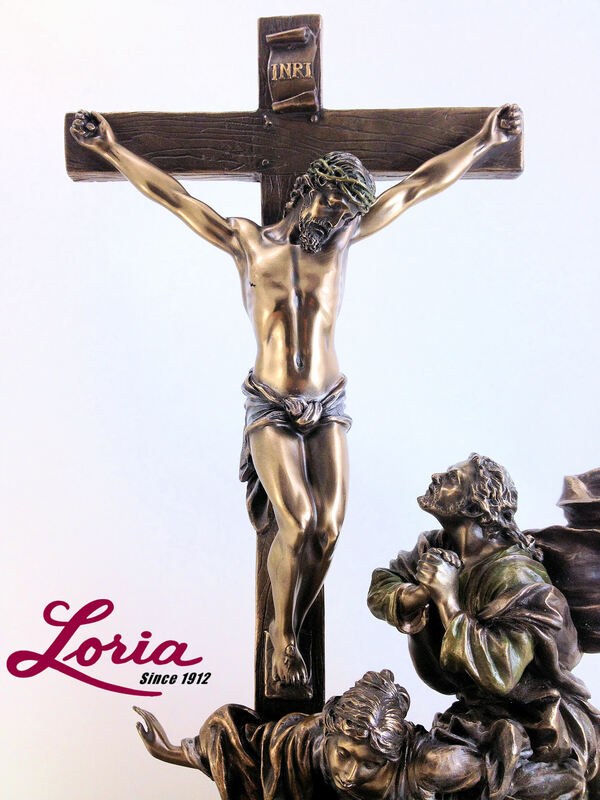 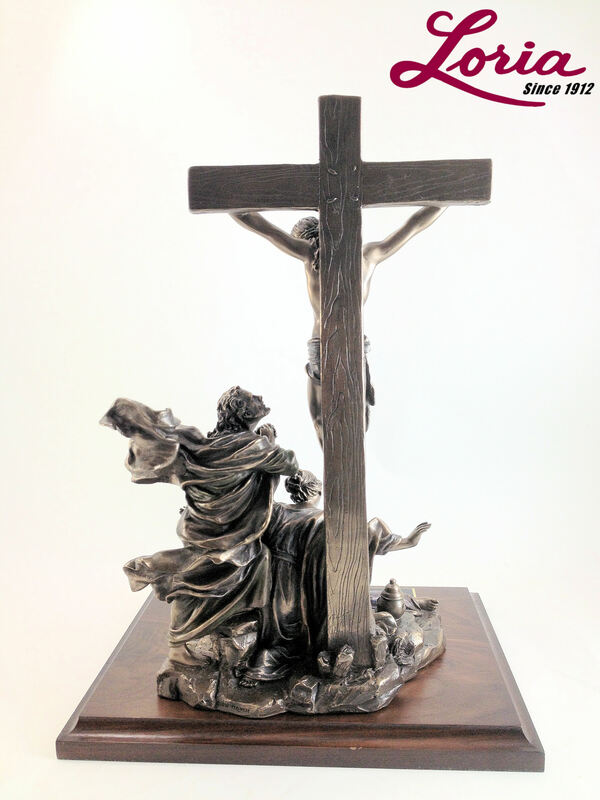 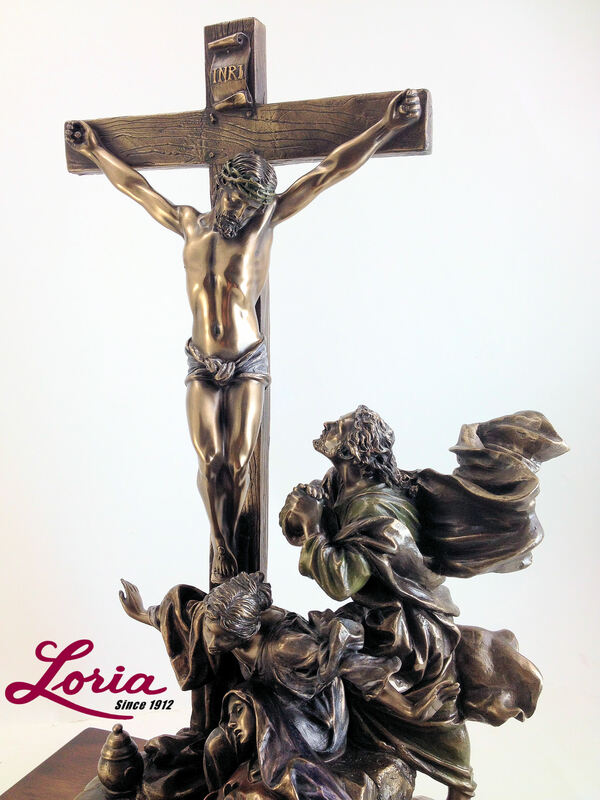 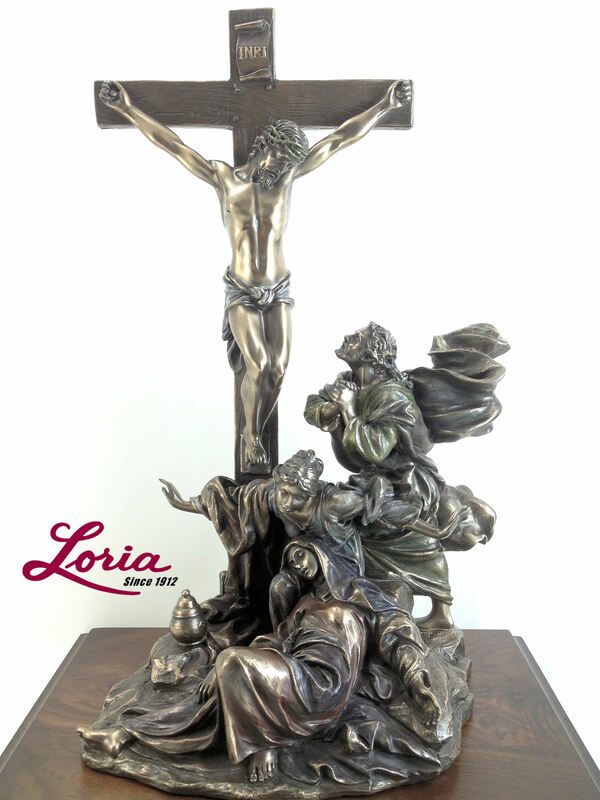 This beautiful incredibly detailed resin statue, called Crucifixion, shows Jesus Christ on the cross. 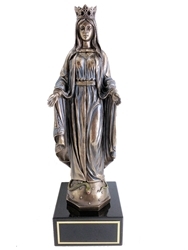 Saint John looking upon him and praying and Mary Magdelene is trying to shield Jesus from the eyes of the Virgin Mary. 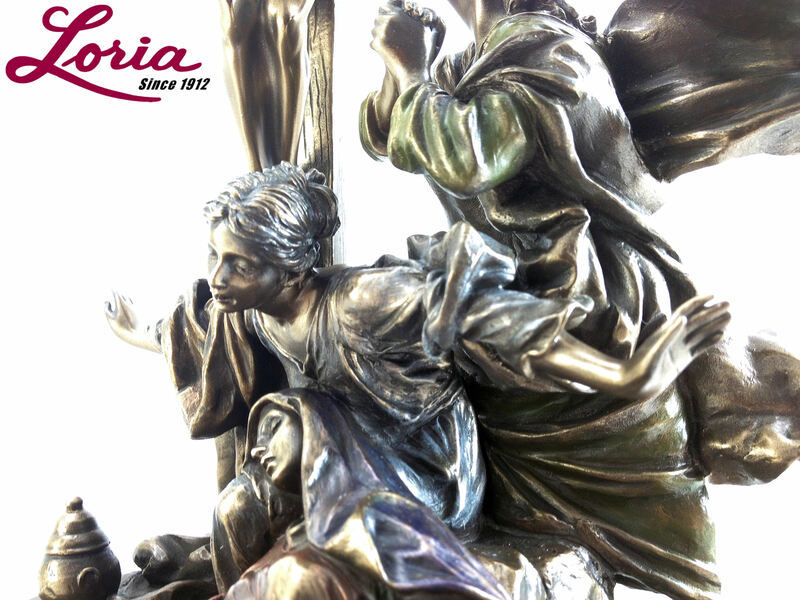 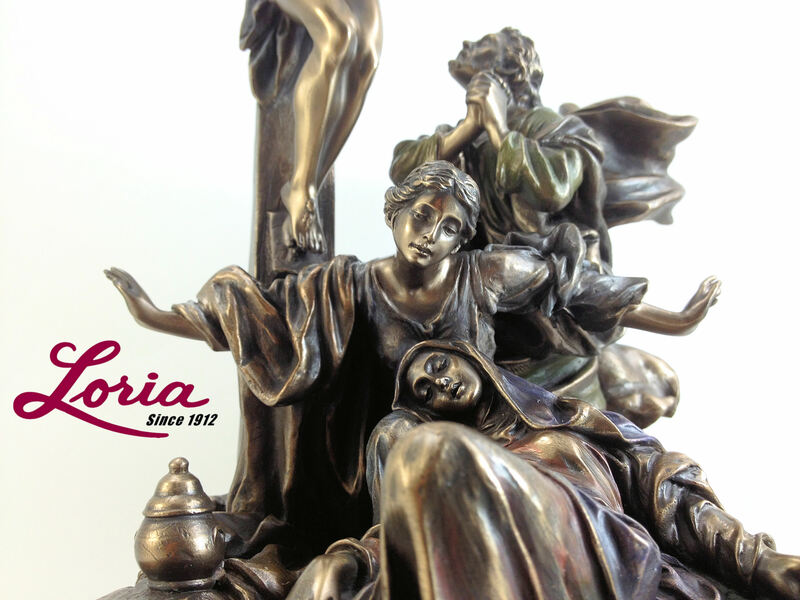 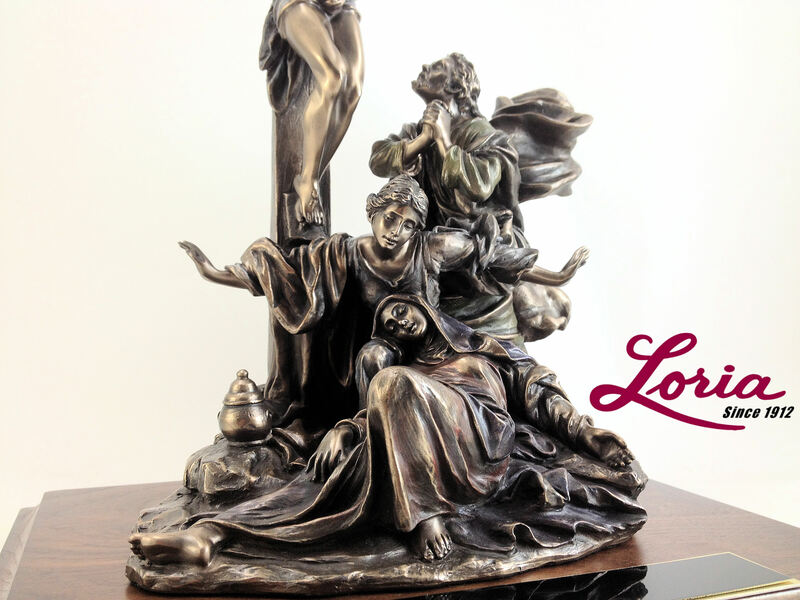 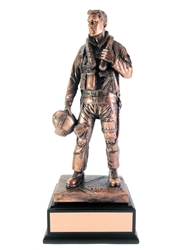 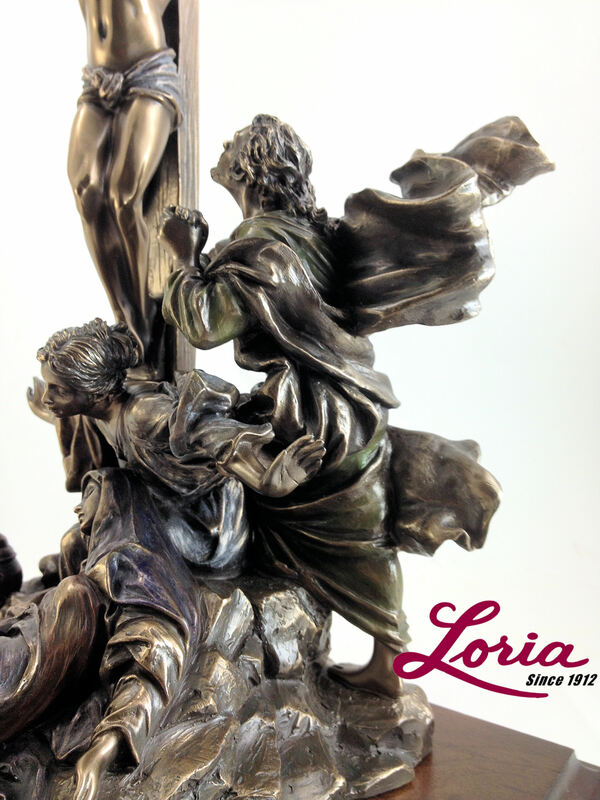 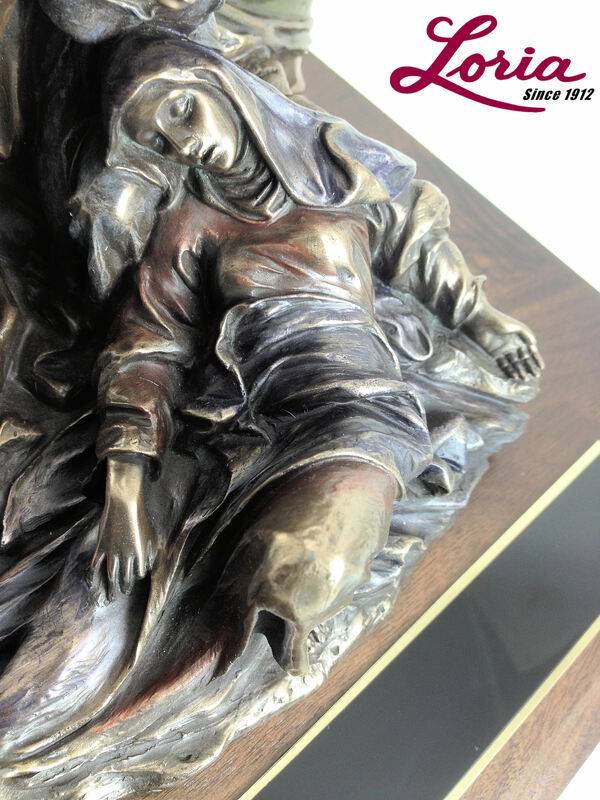 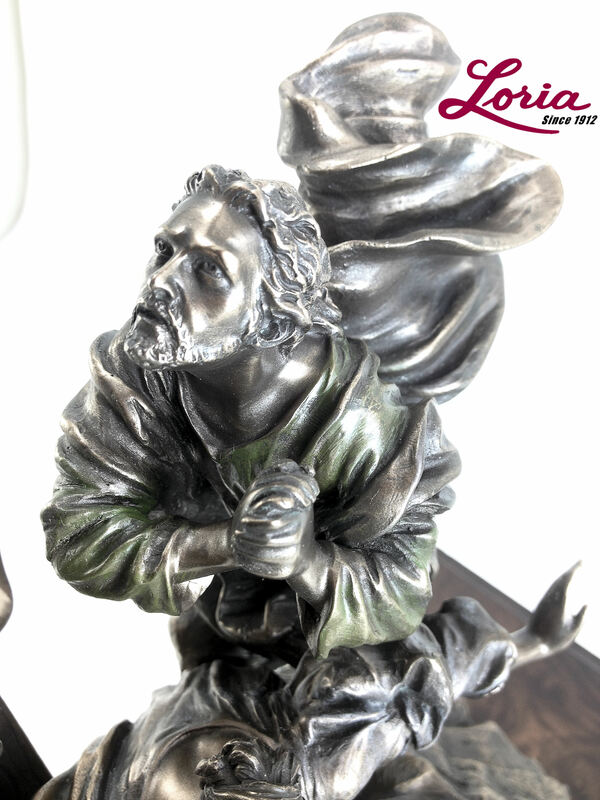 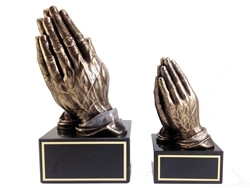 The statue has a stunning metallic bronze finish with hand painted accents. 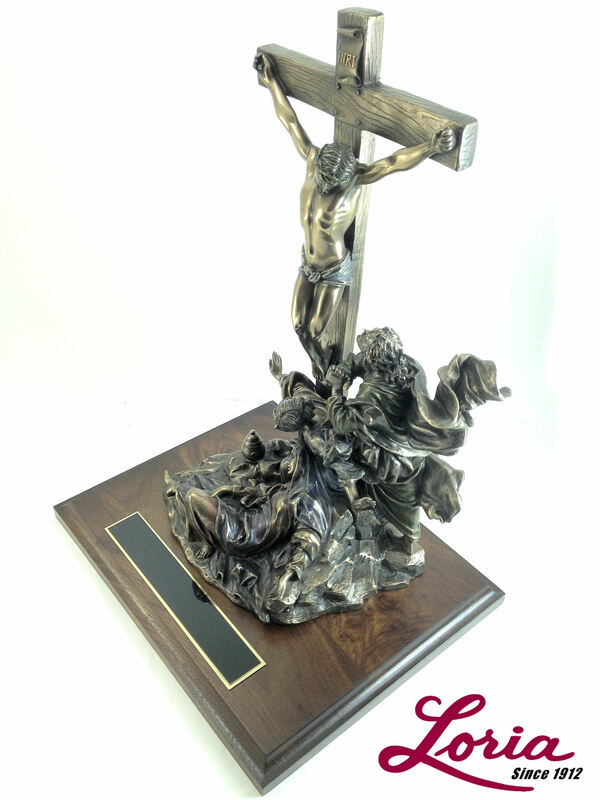 Mounted on a 8"x 10"wide x 3/4" thick, solid walnut base. 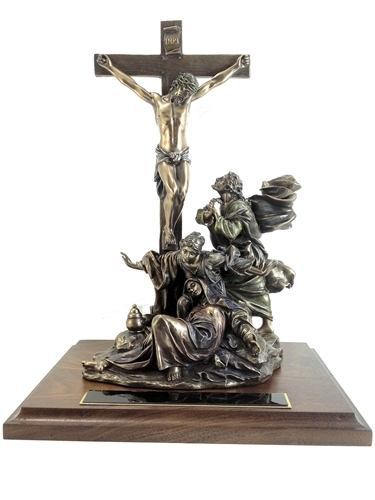 1'' x 6'' black brass engraving plate for your desired message to be engraved in brilliant gold text mounted on the top front of the base. 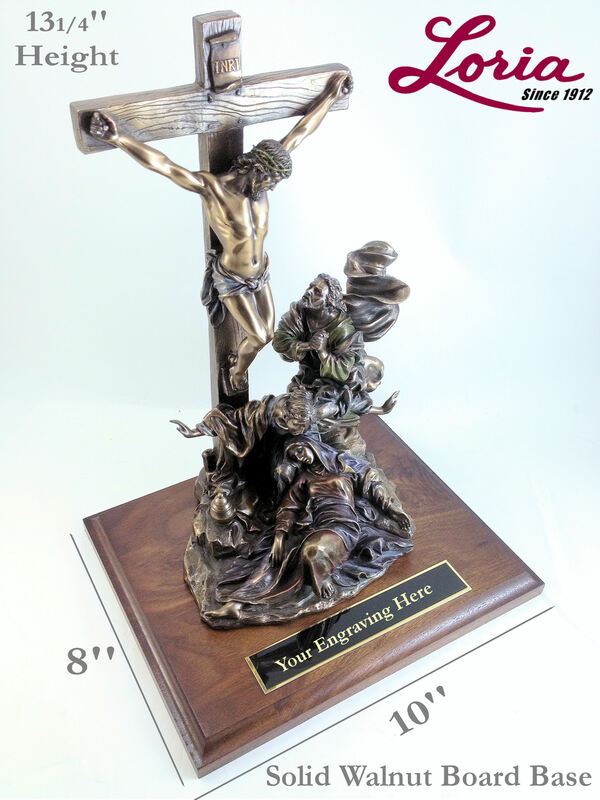 Special order item Allow 7-10 days for production plus shipping time.